But by 2016, that model had collapsed. Every warning that conservatives had made about Sanders’s program proved prescient. The tax hikes chased all the job creators out of state. The new minimum wage didn’t raise low-income workers’ living standards; it raised their unemployment rate. The costs of free college and universal health care proved so onerous, the state was forced to raid its rainy-day funds and borrow at high interest rates just to keep the government running. Vermont now faced a billion-dollar deficit. Schools were shuttered. Pensions were cut. The state’s department of social services could no longer afford to investigate child abuse. The legal system could no longer provide indigent defendants with representation. Nonetheless, in the race for the White House, every Democratic candidate ran on some version of Sanders’s economic model. Wouldn’t it be important for those candidates to explain why their program wouldn’t fail the country in the same way it had failed the Green Mountain State? If you think yes, then you should demand that Donald Trump, John Kasich, and Ted Cruz explain why their tax policies won’t fail America in the same way they’ve failed the people of Kansas. As you’ve probably guessed, that model collapsed. Like the budget plans of every Republican presidential candidate, Brownback’s “real live experiment” proceeded from the hypothesis that tax cuts for the wealthy are such a boon to economic growth, they actually end up paying for themselves (so long as you kick the undeserving poor out of their welfare hammocks). Backers of the budget touted projections from the Kansas Policy Institute, which predicted it would generate $323 million in new local revenues by 2018. 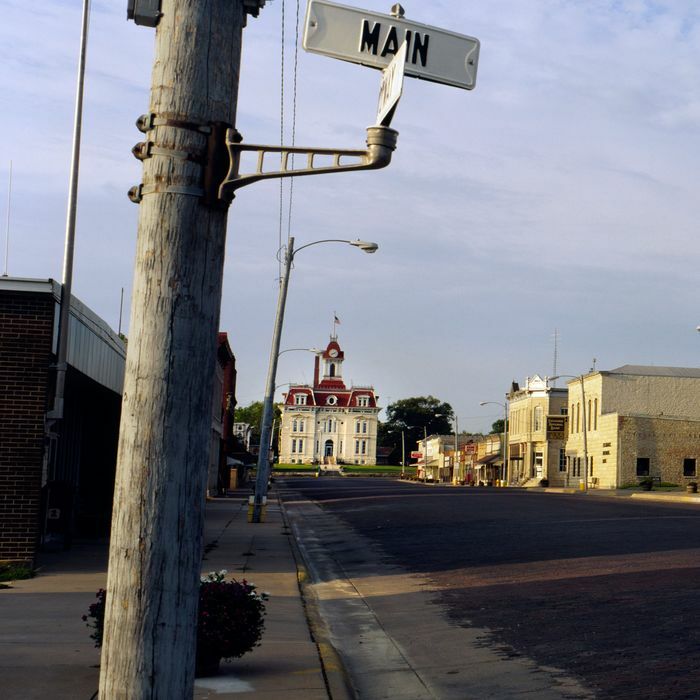 But marginal gains at the municipal level were dwarfed by the $688 million loss that Brownback’s budget wrought in its first year of operation. * Meanwhile, Kansas’s job growth actually trailed that of its neighboring states. With that nearly $700 million deficit, the state had bought itself a 1.1 percent increase in jobs, just below Missouri’s 1.5 percent and Colorado’s 3.3. Those numbers have hardly improved in the intervening years. In 2015, job growth in Kansas was a mere 0.1 percent, even as the nation’s economy grew 1.9 percent. Brownback pledged to bring 100,000* new jobs to the state in his second term; as of January, he has brought 700. What’s more, personal income growth slowed dramatically since the tax cuts went into effect. Between 2010 and 2012, Kansas saw income growth of 6.1 percent, good for 12th in the nation; from 2013 to 2015, that rate was 3.6 percent, good for 41st. Meanwhile, revenue shortfalls have devastated the state’s public sector along with its most vulnerable citizens. 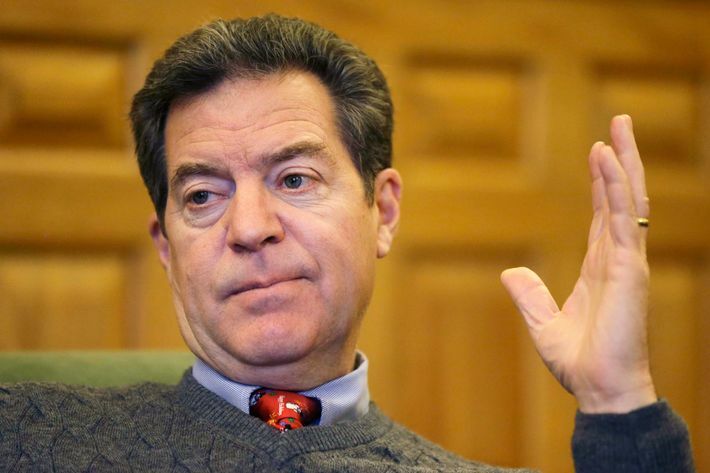 Since Brownback’s inauguration, 1,414 Kansans with disabilities have been thrown off Medicaid. In 2015, six school districts in the state were forced to end their years early for lack of funding. Cuts to health and human services are expected to cause 65 preventable deaths this year in Sedgwick County alone. In February, tax receipts came in $53 million below estimates; Brownback immediately cut $17 million from the state’s university system. This data is not lost on the people of Kansas — as of November, Brownback’s approval rating was 26 percent, the lowest of any governor in the United States. Louisiana has replicated these results. When Bobby Jindal moved into the governor’s mansion in 2008, he inherited a $1 billion surplus. When he moved out last year, Louisiana faced a $1.6 billion projected deficit. Part of that budgetary collapse can be put on the past year’s plummeting oil prices. The rest should be placed on Jindal passing the largest tax cut in the state’s history and then refusing to reverse course when the state’s biggest industry started tanking. Jindal’s giveaway to the wealthiest citizens in the country’s second-poorest state cost Louisiana roughly $800 million every year. To make up that gap, Jindal slashed social services, raided the state’s rainy-day funds, and papered over the rest with reckless borrowing. Today, the state is scrambling to resolve a $940 million budget gap for this fiscal year, with a $2 billion shortfall projected for 2017. Like Bizarro Vermont, Louisiana can no longer afford to provide public defenders for all its criminal defendants. Its Department of Children and Family Services may soon be unable to investigate every reported instance of child abuse. Education funding is down 44 percent since Jindal took office. The state’s hospitals are likely to see at least $64 million in funding cuts this year. What has happened to these states should be a national story; because we are one election away from it being our national story. Ted Cruz claims his tax plan will cost less than $1 trillion in lost revenue over the next ten years. Leaving aside the low bar the Texas senator sets for himself — my giveaway to the one percent will cost a bit less than the Iraq War! — Cruz only stays beneath $1 trillion when you employ the kind of “dynamic scoring” that has consistently underestimated the costs of tax cuts in Kansas. Under a conventional analysis, the bill runs well over $3 trillion, with 44 percent of that lost money accruing to the one percent. John Kasich’s tax plan includes cutting the top marginal rate by more than ten percent along with a similar cut to the rates on capital gains and business taxes. Even considering Kasich’s appetite for Social Security cuts, his plan must rely on the same supply-side voodoo that Kansas has so thoroughly discredited. As for the most likely GOP nominee, even with dynamic scoring, his tax cuts would cost $10 trillion over the next ten years, with 40 percent of that gargantuan sum filling the pockets of Trump’s economic peers. If any of these men are elected president, they will almost certainly take office with a House and Senate eager to scale up the “red-state model.” Senate Majority Leader Mitch McConnell has said of Brownback’s Kansas, “This is exactly the sort of thing we (Republicans) want to do here, in Washington, but can’t, at least for now.” Speaker of the House Paul Ryan’s celebrated budgets all depend on the same magical growth that has somehow escaped the Sunflower State. This campaign cycle has inspired an unusual amount of soul-searching in Republican circles. The rise of Trump has forced many conservatives to reckon with the moral odiousness of Nixon’s Southern Strategy — a blueprint for GOP electoral success that relied on coded appeals to white racial animus. Unfortunately, the fall of Kansas has failed to inspire a similar reckoning with the policies that those ugly advertisements were designed to sell. The GOP front-runner’s praise of mob violence and religious discrimination has spurred much righteous outrage from the National Review. Kansas’s shortened school-years have spurred none. When Donald Trump makes a gaffe, reporters confront Republican leaders and demand a response. When the GOP’s economic platform decimates two U.S. states, a similar confrontation is in order. *An earlier version of this piece said that Brownback had pledged to bring 25,000 new jobs to Kansas in his second term. The pledge was actually to bring 100,000 new jobs (or 25,000 for each year of the term). *This post has been corrected to show that KPI’s revenue projections specifically pertained to local property and sales taxes over the proposed budget’s first five years of operation.